In his early twenties Chandra did volunteering jobs in remote villages as a primary school teacher. In 1997 Chandra got involved in trekking starting as a porter. 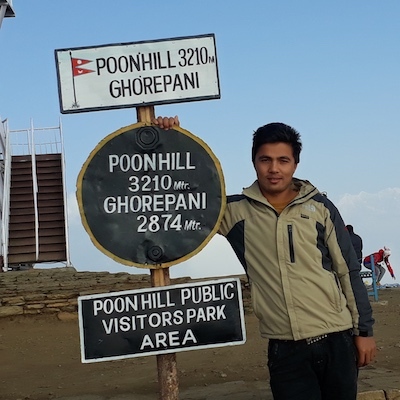 From there he has worked his way up and today he is a professional trekking guide, trained and approved by the Nepal government with years of experience and hundreds of happy customers. Chandra has been leading treks all around Nepal in locations such as Mt. Everest, Annapurna, Langtang, Manaslu, Makalu and Upper Mustang. He can speak fluent English and broken Hebrew. Chandra also possess knowledge on Nepalese culture, history, geography and nature. In 2012 Chandra completed the Everest marathon, the world's highest marathon! Chandra is also a Executive Committee Member of TAAN Western Region, Pokhara. TAAN is short for the Trekking Agencies Association of Nepal. 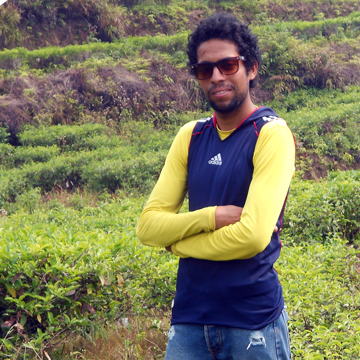 Kabi joined the Friendly Trekkers Adventure Team after completing high school in 2007. He is a A classed, trained guide authorized by the Nepal government. His experience includes Annapurna, Everest, Langtang, Manaslu, Upper Mustang, Makalu and many other places. Kabi is doing his masters degree in English literature: he speaks fluent English and Hindi. He also has adequate knowledge in religion, culture, geography and flora and fauna of the Nepalese Himalayas. Kabi is a caring person with a good sense of humour. Tek has done trekking professionally since 2007. He has a bachelor degree in management and is a A classed, trained trekking guide. Tek does trekking all over Nepal in locations such as Annapurna, Manaslu, Everest and Langtang. Tek can speak fluently English and Hindi. He has a good knowledge about Nepali culture, tradition, history and Himalaya region in general. Tek is a young man believing in hard work and good customer service. 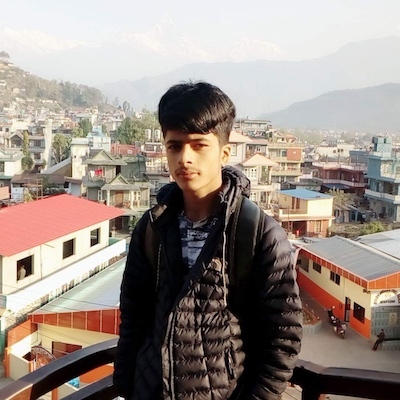 Mahendra was born and grew up at Pokhara. 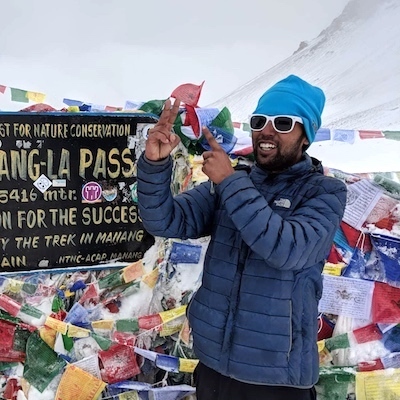 Mahendra has been doing trekking since 2009. He is hardworking in his work. 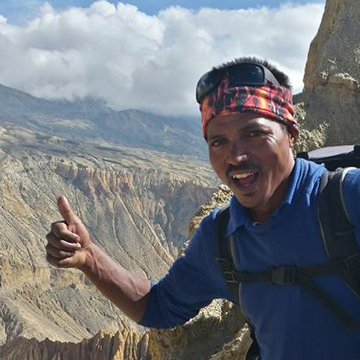 This is the reason for his successful journey to becoming a trekking guide from a porter. He began his career in trekking sector as a porter with FTA itself. After working first as a porter for two years, then as a porter guide and he gradually moved on to become a successful trekking guide today. He is a ‘A’ classed guide authorize by Nepal government. His fields of knowledge include Hinduism, tradition and culture in Nepalese himalayas. He enjoy leading treks that combines mountains, wildlife and sense of adventure. He is specialized in regions mainly Annapurna, Upper Mustang,manaslu, Langtang and Everest. He speaks fluent English, Hindi and Nepali. Arjun is a young man doing his bachelor in Commerce and Nepalese economy. He was born near Pokhara. Since 2014 Arjun is member of FTA team. He is trained guide licenced from Nepal government. He has trekked a most famous trekking zones of Nepal namely Annapurna, Upper Mustang, Langtang, Manaslu and Everest. He also has vast knowledge of Nepal, its culture, places and people. He also likes to enlighten his guests about Nepal and its rich heritage during the trekking. This helps him in running the trips for his guest trouble free and he makes sure that his guests have a good time on their trek. Most of our guests have praised him as a professional and informative guide. He speaks good English, Hindi and of course Nepali. Tilak is a retired police officer. Since 2004 he has been working in trekking business. 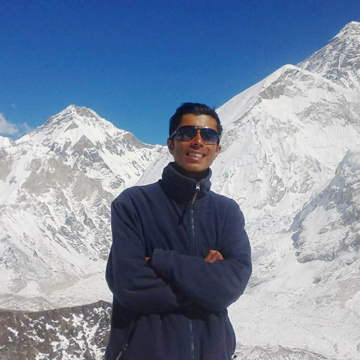 Tilak has experience on numerous trekking regions including Annapurna, Manaslu, Langtang, Upper Mustang and Everest. He can speak English and Hindi. Tilak always takes good care of our clients and makes them happy and comfortable during the trek. Forgot something to the last lunch place? No worries, Tilak is probably already on his way to pick it up for you. Shiva is a young and energetic man studying about commerce and Nepalese business. He joined FTA team since 2015. He has handled several groups for FTA and always come up with good reviews of his work. He is a caring person with his beautiful smile. He started his career as a porter and now he moved on to become a successful assistant guide. He has been almost all the famous trekking zones of Nepal including Annapurna, Upper Mustang and Manaslu. Shiva was born in a hindu family, so he has a vast knowledge about Hindu culture and its tradition. He speaks English, Hindi and Nepali well. He is in this profession from last 6 years. he can speak good English and Hindi. He is a young and energetic man doing his bachelor in sociology. He did many trekking in Annapurna, Manaslu, Langtang, Everest reason, etc. He is a friendly person. He has a knowledge about religion, Nepalese society and it’s change. His experience include Annapurna, Langtang, Manaslu and Everest area. he has a 4 years experience in this field. He is doing his bachelor in a science. He is caring person and knowledgeable about Nepalese culture and tradition. He speaks English fluently. Since 2008 Dhan is in trekking profession. He starts his career as a porter and now he is a porter guide. He can speak good English. He is very kind and helpful person. He did Annapurna, Langtang, Manaslu and many other trekking reason. He is 33 years old now.